At ethan men, we aim to be one of, if not the best tailor in Singapore offering affordable prices. We understand that tailors with BOTH good quality and affordable prices are rare. That's why we hire some of the best tailors and seamstress and do not outsource. We also source for the best machines, materials and fabrics. Most customers can tell the difference immediately by feeling our products. And we wish to share our story with you. We have a full team of tailors and quality control staff who are paid fair monthly salaries and work reasonable hours. As they are our full time staff, we are then able to develop standards and produce consistent high quality tailor made suits and shirts. We understand that having our factory will raise costs, but it is the only way to produce good quality products. 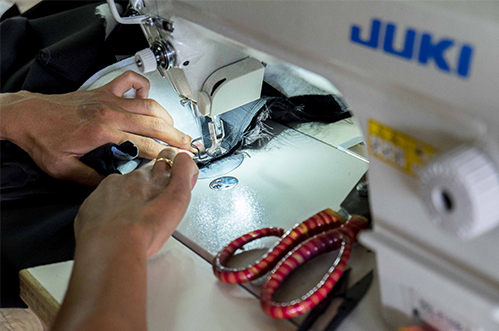 Unlike shops that outsource to sweatshops, the factory staff earn a set price for each item they make. The shop front will only provide the fabric and none other items (stitching, shoulder pads, canvas etc). As the more they make, the more they earn, these sweatshops have an incentive to rush through work and cut corners. These shops have totally no knowledge and control over the production and quality is usually compromised. ethan men is not big on trends. We want you to wear our products for years and decades to come. Many tailors are actually capable of producing good quality clothes with the promise of steady pay cheque and appropriate industrial machines to aid their productivity. 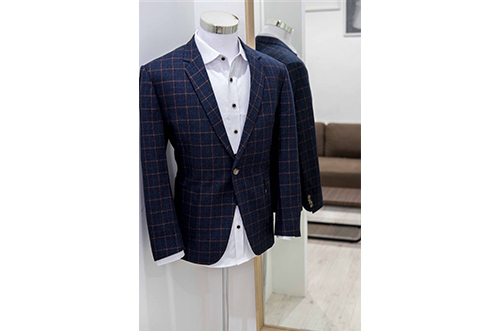 Today, our tailors are able to see that with good quality work comes an increase in number of return customers, then followed by improved steady salaries for them! When we started, we attended numerous trade shows to source for the best factories and mills. Through sheer determination and several referrals, we were able to find some of the very best components and fabrics. For some of these factories, we are their smallest customer by a huge margin but for reasons unsure to us, they decided to work with us. Today, many of our business associates are our friends and trusted advisors. ethan men is obsessed with balancing costs and quality. Buying components and fabrics direct from factory and improving factory productivity are the only two ways to accomplish that. Today, all our fabrics are purchased direct from the exclusive fabric mills. Many components like stitching, Freudenberg canvas, YKK Zips, Hesla shoulder pads, collar and cuff interlining and even machines etc are purchased direct from factory too. Hence, we are able to avoid counterfeit items and avoid unnecessary middlemen costs.